Some time ago, there was a popular book called All I Really Need to Know I Learned in Kindergarten. Something similar could be said about the first three chapters of Genesis. Many of the fundamental things we need to know about the nature of God, humans, men and women, work, marriage, sin, and redemption are found in the first three chapters of Genesis. 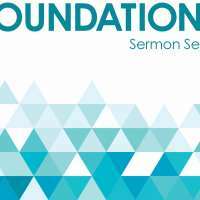 In our next sermon series, titled “Foundations,” we will look at foundational principles for life out of the first three chapters of Genesis. Kip Cone "Our Father is a Good Father"